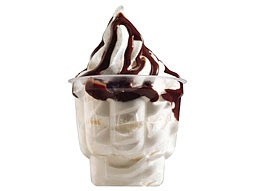 A McDo Sundae isn't really much. It is just Vanilla Ice Cream Created in a Ice Cream Machine topped with Caramel or Chocoloate Syrup. In the Philippines, it only costs PHP 25. Could I survive this craving?